Surgery: 3500 nape and head hair transplanted to crown, frontal scalp, hairline and temples. how many grafts did you put in his crown and how many in the front area? breakdown please. It looks like very small difference to me, I actually had a hard time telling which photo is before which one is after. » telling which photo is before which one is after. i agree…have no idea what was done. » » telling which photo is before which one is after. » i agree…have no idea what was done. Appreciation for the subtlety and naturalness of transplanted nape hair is lost until you see it in person. Some fella on these boards used to preach how Pictures Lie…they certainly do in this case, because of the light characteristics of nape hair. The video is far better. Request to see some of Dr. Umar’s patients in person to best judge. » of Dr. Umar’s patients in person to best judge. Why bother to put the pics up then? Close-up pics in this case would be helpful, and a frontal after pic with the hair pulled back as in the pre-op. I make this point because I have 1000+ nape grafts in the front by Dr. Umar. I can’t believe how natural the hair looks, totally undetectable. This is really good, soft natural feather like hairline, I think he will be fine even if he shaves his head, if he ever decides to shave his head, please remember to post some pics, I really want to see that. Now that’s a 21 century HT! 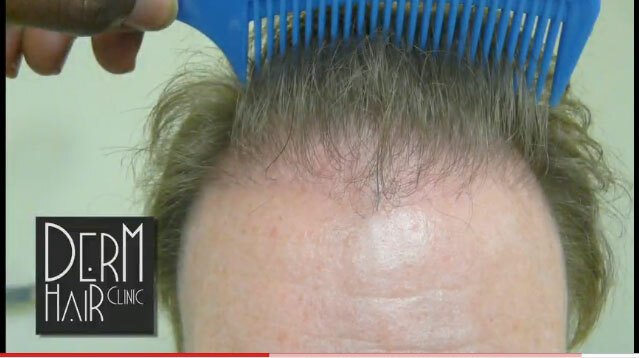 Soft natural hairline, good coverage, NO strip scar and great donor management using some non-traditional hair donor saving precious head-hair donor for any future needs or wants. one of the best I have seen lately, couldnt be more natural. 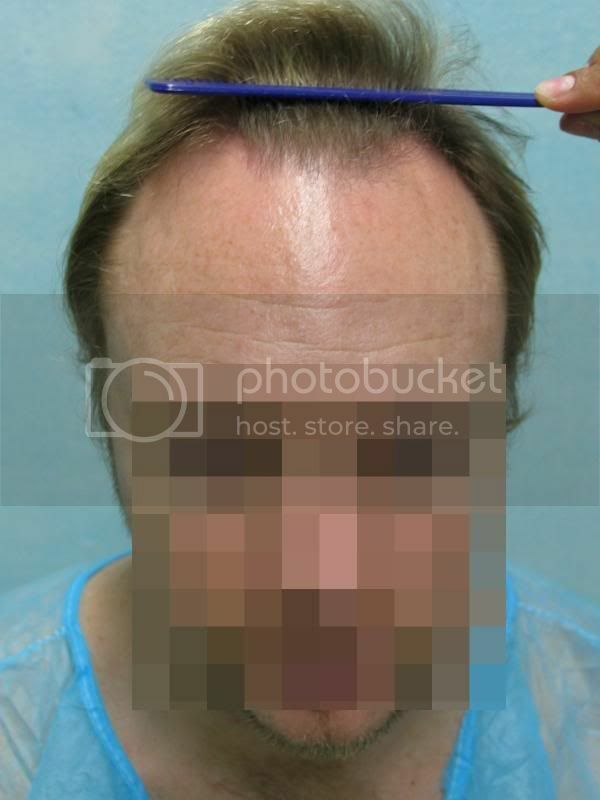 I second the request for a graft count in the hairline and crown. Could you also provide placement densities in each area? The frontal hairline looks a little thin to me. This shot in strong light is particularly revealing. Does the patient have any plans to get a followup procedure to provide the appearance of more natural density when observed in strong light?